The heavy duty Rocklea cap tarp is made from the best quality materials in Australia and with our qualified tradesmen behind the needle this tarp is manufactured to withstand the roughest terrain. 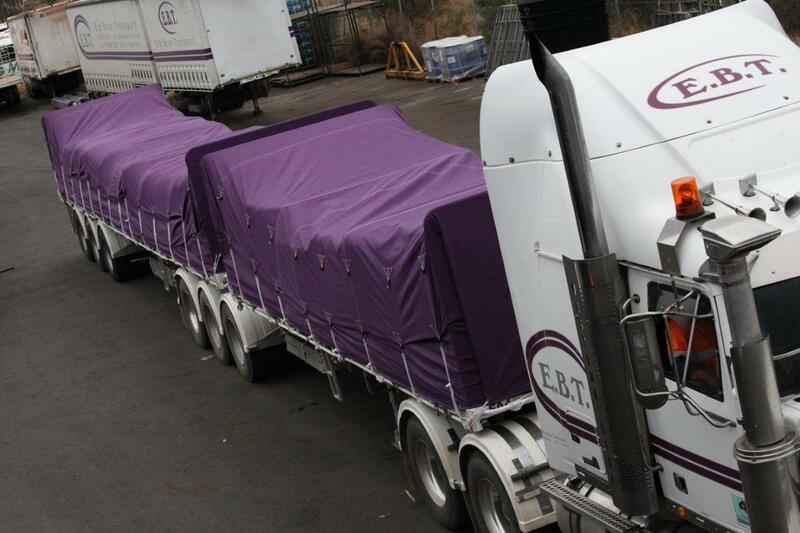 We take pride in our tarps and still utilise the run and fold seam which is the toughest seam on the market. Our heavily reinforced patches with rope rim, spur tooth eyelets and d-ring shorteners provide a durable and reliable product. We only use the best quality materials for our gate curtains, from the fabric to the square/round hooks and ropes - we realise that every aspect of our product must be up to the job! Our standard gate curtains consist of square hooks at the top, and 3'6" ropes at the bottom. The left hand side has a shortener front and back so you can get the tension you require. We also offer variations on our standard curtains like a grain flap 1' or ropes at the top. We make our gate curtains to order so if there is something different that you require, let us know and we will make something to suit. Cap tarps with the toughest seam on the market. Quality craftsmanship is always our first priority.